Selection of the main clinical studies that have impacted care of patients with RA. #Chapter4, @eular_org online course #EULARonlinecourseOnRheumaticDiseases. @EMEUNET initiative #EMEUNETonCourse, to promote knowledge-sharing in rheumatology. 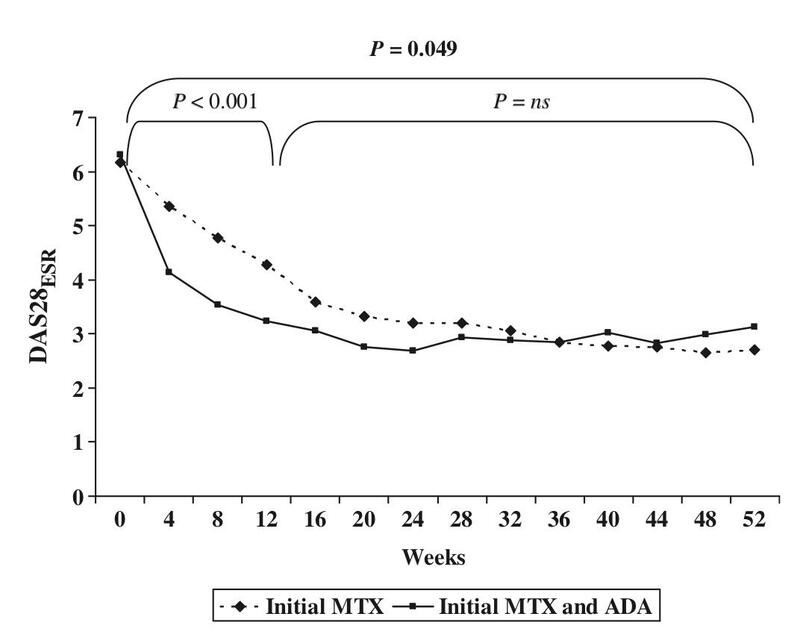 Efficacy of methotrexate treatment in patients with probable rheumatoid arthritis: a double-blind, randomized, placebo-controlled trial. Graphs show seropositive and seronegative patients. Something with MTX and B cells! Evaluation of two strategies (initial methotrexate monotherapy vs its combination with adalimumab) in management of early active rheumatoid arthritis: data from the GUEPARD trial. No long-term superiority of the MTX + ADA combination.